Born and raised in southern Germany, Stephan Oesterreicher, began walking his spiritual path right after graduating from high school. It was then that he began traveling the world in pursuit of deepening his awakening and following the calling of his heart. His path has taken him to over 40 countries – Nepal, India, Thailand, Romania, Canada, Ireland, England, Mexico, Peru, Bolivia, and the United States – to name a few. He spent 2 years in India in the Himalayas studying Buddhism in Tibetan monasteries. It was while in India that a guru gave him the name “Lakshman”. 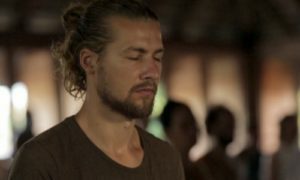 From there his path lead him to Thailand for 2 years to study Tantric yoga. It was during his time in Thailand that he met Sahajananda who would become his meditation teacher and introduce him to Hridaya Yoga. Since then meditation has become Lakshman’s main focus on his spiritual path. He has been in over 40 silent retreats and loves to dive deeper and deepr into silence. 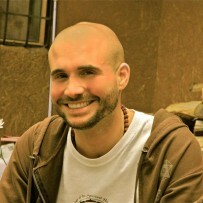 He completed the Hridaya Yoga Teacher’s Training course in 2011. He is also a Certified Reiki Master. Lakshman has experienced profound shifts within through his meditation practice. He wishes to spread the joy of meditation to many people all over the world. He is the founder of Hridaya Peru, where he is holding and organising Silent Meditation Retreats, Workshops and Meditation Classes in the “Sacred Valley of the Incas and at the Titikaka Lake.